the high school, university, provincial and national levels. level, Vic's teams won five provincial championships: Sisler "Spartans"
1964, and 1965. In 1963, the "Trojans" were Provincial Finalists. and 1979, and National Intercollegiate Finalists in 1977 and 1978.
program became starters with the National Women's Team. In 1990, Vic coached the Manitoba Provincial women's team to a silver medal in the Western Canada Games. the first President of the Manitoba Basketball Coaches' Association. 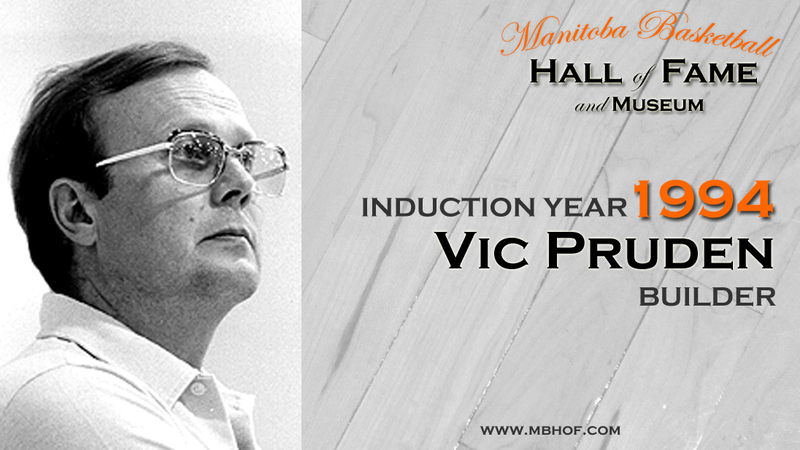 Vic has also been inducted into the Manitoba Sports Hall of Fame.